Please consider joining The Department of Philosophy for Resistant Imaginations: A Conference in Critical Epistemology at the University of Oregon, February 1-2, 2019. 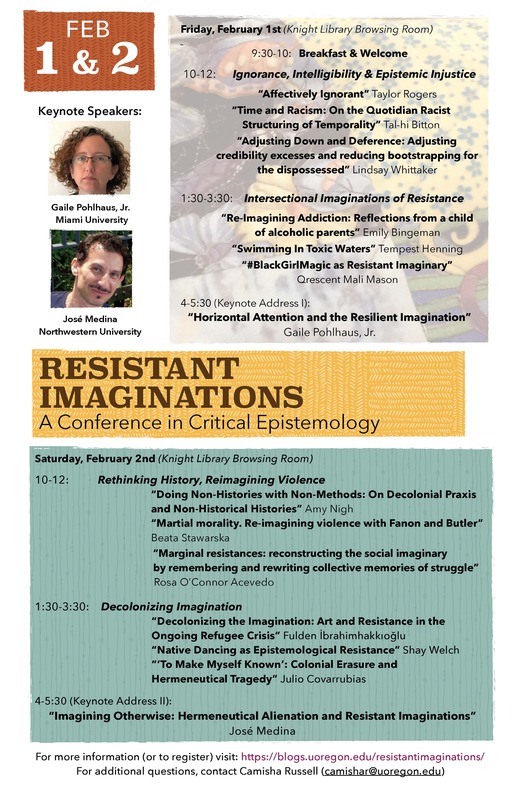 The schedule can be found below and on the conference website: https://blogs.uoregon.edu/resistantimaginations/home/. If you should decide to join, please register: https://blogs.uoregon.edu/resistantimaginations/registration/.